Itching is a common problem causing the issue that makes one want to scratch and peel the entire skin layers. And the most frustrating of them all can be itchy palms. There are various factors that can actually cause and trigger palm itching like excessive sweating, improper hygiene, dry and flaky skin, changing weather conditions, extreme cold and even sun damage. It can also be a result of greater skin disorders like eczema and psoriasis. Irrespective of the cause, what matters here is that the extent of itching can actually affect day-to-day lifestyle and work. In order to help you get rid of itchy palms naturally, we have listed 5 effective home remedies below. Ice compress is the best home remedy that can reduce sweat induced palm itching. Simply take few ice cubes in a cotton cloth and compress them against your palms. You can also dip your palms in a bucket of ice. 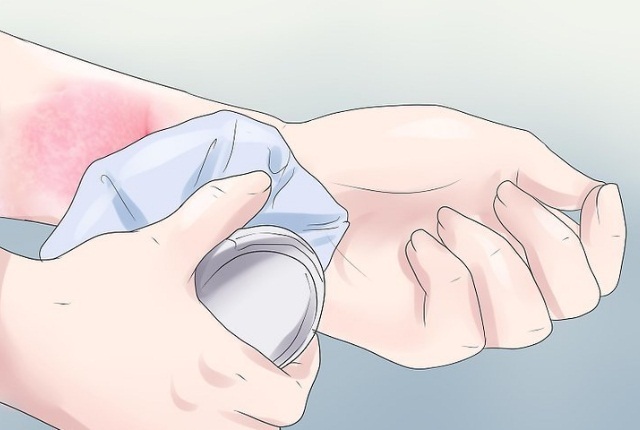 It will numb the hands for a few seconds that will reduce the degree of itching. The inflamed itchy cells will cool down. And icing will also reduce sweat formation. Use it as many times a day as you need it. Do not forget to use a non-allergenic moisturizer soon after icing your palms. 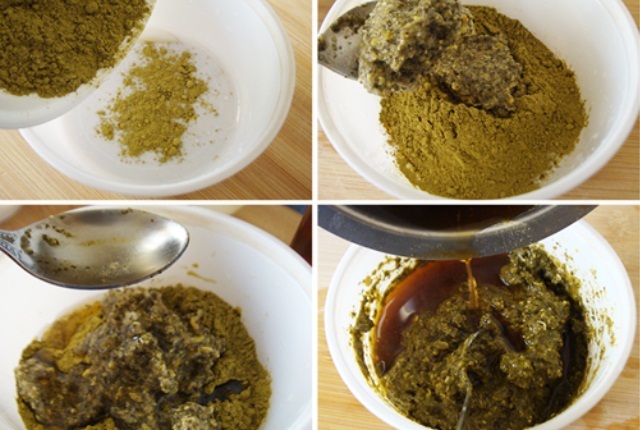 This is one amazing home remedy for palm itching caused due to skin peeling. Simply scoop aloe vera pulp and grind it in a mixer with rose water to get a gel like consistency. Refrigerate for an hour before you apply it. Cleanse your hands and cover your entire palms with the aloe gel paste. Let it rest for as long as you feel it cool against your skin, and wash with cold water. 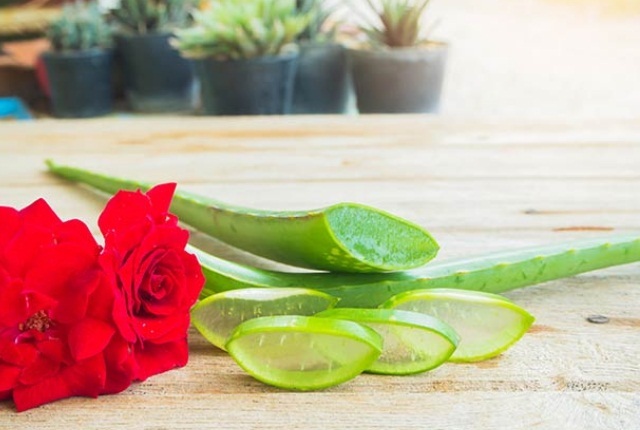 Aloe vera will nourish the peeling skin and get rid of dead skin and flakes. It also contains folic acid, vitamin A, E and C. Folic acid increases blood supply that makes Palm cells healthier. Vitamin C kills sweat induced bacteria. Vitamin A hydrates the cells and Vitamin E moisturizes the shrunken cells. Rose water ensures that the Palm’s pH once restored, stays undisturbed thereon. This is one powerful anti-allergic home remedy to reduce palm itching caused due to dry skin and any possible infection. Boil oatmeal and grind it to form thick paste. Simply cleanse your hands and pat them dry. Rub cold Shea butter on your palms till they start warming up. Now apply the refrigerated cold oatmeal paste of your palms and let it rest for 40 minutes. Rinse with cold water and moisturize immediately. 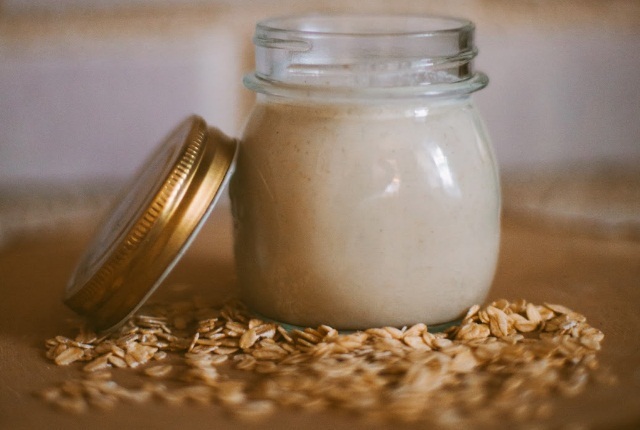 Oatmeal is blessed with Vitamin B6 and water. Vitamin B6 absorbs water from the surrounding plump cells and pass it on to the shrunken inflamed palm cells. It kills infection causing bacteria and retains the normal pH level. Shea butter moisturizes the skin and repairs the epidermis. This is a detoxifying home remedy to reduce skin inflammation caused due to infection, sweat as well as sun. Mix half teaspoon baking soda and half teaspoon Epsom Salt in a bucket of warm water, and dip your hands in it for 15 minutes. Rinse with cold water and moisturize. 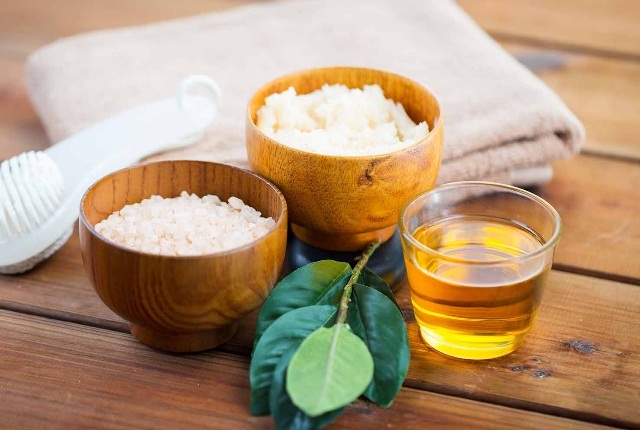 You can also mix half teaspoon Epsom salt and half teaspoon baking soda with half teaspoon distilled water to form a scrub if your skin is peeling and itching close to the finger joints. Baking soda kills all the germs and exfoliates the dead skin. It maintains the normal pH level and ensures that sweat formation is reduced. Epsom salt, when used on a daily basis, will keep removing sun induced free radicals. This will hydrate and moisturize the itchy skin and will eventually get rid of itching completely. This is an ultra hydrating and moisturizing home remedy that reduces palm itching caused due to any factor. In fact, it can also be used by people suffering from psoriasis to keep itching under control. Simply add 1 teaspoon almond oil and half teaspoon rose water to 1 teaspoon colorless Henna and make thick paste. Now add about half teaspoon honey to the mixture and stir to get a runny consistency. Refrigerate for 2 hours and apply on the palm for 30 minutes. Use thrice every day. Henna is an extensive cooling agent that calms down extreme inflammation and itching instantly. Honey absorbs extra sweat, toxins, germs, bacteria and free radicals and flushes them out of the skin. It also moisturizes the dry palm skin and makes it smooth by replacing dead and itchy cells with new cells. The above listed 5 home remedies are some of the easiest ways to control palm itching without causing any irritation. You can additionally keep washing your hands with an antiseptic hand wash after gyming, or every 4 hours normally.